The Yoruba are an African ethnic group occupying a total land area of 142,000+ sq.km (2x size of Ireland). Their lands span Western Nigeria through the country called Benin into Eastern Togo. 60 million people across the world identify as Yoruba- similar population to France or Italy. Their acclaimed town of origin- Ile Ife was founded about 400BCE. It is this author’s belief that although the Yorubas have occupied their current lands for more than a 1,000 years, they are unlikely to be autochthonous to the region. In fact some more Northern groups in Nigeria claim ancestral relationship with the Yoruba through the Bayajidda legend. In the history of mankind, the more powerful groups occupied the richest lands, were expansive and able to integrate and protect their borders. Given the cultural dominance of the Yoruba in the West African region, their sheer numbers and expansive contiguous territories in some of the most fertile river basins and forests, it is without doubt that the Yoruba benefited from major early advantages in their ancient history. At this point given the absence of verifiable data, this author would have to rely on historical accounts and logical conjecture to account for how those historic advantages were achieved. The Yoruba claim descent from a migrating group from the East- the Arabia some say while others talk of Egypt. The Obelisk of Oranyan with its trident markings (similar to Egyptian hieroglyphics) indicating the 61 years of life of the Prince Oranyan is often used as proof of an Egyptian origin or of a North-East African origin. These regions would have been one of the earliest workers of iron in Africa. They would have known how to forge agriculture tools and weapons of war from all types of metal especially iron. None of the original inhabitants in the initial areas they settled in present day Okun land and subsequently as they expanded south and west would have had knowledge of iron making. As a result, the Yoruba groups would have had a natural advantage in warfare and agriculture. This in fact would account for why they would have been able to expand across very fertile lands and build a contiguous territory their neighbors would have feared to breach. They would also have been better organised to conduct war against stone-age groups of the lower Niger region. This knowledge of war would have been obtained from centuries of participation in the highly developed generational warfare of North-East Africa between ancient Egyptians and the Nubians. Copper mask of King Obalufon, 1300 C.E. As a result of this iron and metal working abilities, they would have been able to conquer and absorb original settlers of the lower Niger region. They would have then used these populations to expand agriculture which in turn would have helped support larger populations in their realms and propelled even further explorations into new regions south and west. 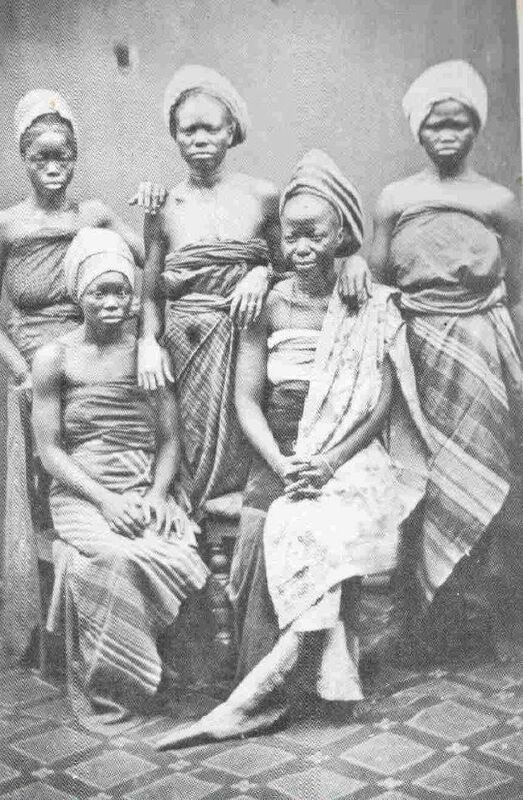 As they would have been outnumbered in the new regions they had infiltrated and were conquering, they would have had to resort to differentiating the pure Yoruba from the original populations through enforcing societal hierarchy through visible markers including body markings and flamboyant social mores e.g. greetings that denote superiority. In order to survive in this region, kinsmen would have sworn mutual aid in times of war and promised to always come back for annual rites of re-connection at the shared point of dispersal into the new lands. This shared point of dispersal would be known as Ile-Ife. It would have been very likely that Yoruba towns or those populations ruled by the Yoruba would have been protected against conquest and enslavement by expanding Yoruba groups. This may in fact account for how some distinctly non-Yoruba populations such as the Edo came to have Yoruba nobles in order to preserve their independence. In fact it is common to hear the Yoruba from across fairly dispersed towns say the same proverb- ‘One does not sacrifice family, only strangers’. This system of kinship would have made them impervious to external threats and also helped spread peaceful inter-town relationships across areas they settled. This ‘Pax Yoruba’ or Bere would have promoted trade and created the wealth that allowed the arts especially metal-based sculpturing flourish. The Yoruba formed their settlements with the king’s dwellings at the center of the towns. Nobles built around the King and the rest of the populace around them. The army was often stationed in the frontier in outer towns facing hostile groups. This concentric formations of Yoruba towns concentrated dwellings and because they were easier to defend than sprawling settlements, they would have attracted more residents for the safety they offered. The high densities would have enabled trade specializations which in turn promoted commerce. This commercial abilities would account for the innate commodification of trade-able items of value including humans and would account for why the Yoruba would eventually become some of the major beneficiaries of the slave trade. These early development of commerce would spur the Yoruba into a gilded age where they created and sold dyed cloth, exported agro produce from the forest lands to the Northern Nupe and Hausalands and invested in the creation of impressive art works as a preserve of wealth and social status. Unfortunately the growing wealth of the Oyo Yoruba who brokered the forest produce with the Nupes and Hausas would come to undermine the Pax Yoruba or the confederacy of Yoruba kinsmen based on Ile-Ife. The rise of the Oyo in 1300 C.E. ended 300 years of the Pax Yoruba era in the region and marked the start of the decline of the the Yoruba as a nation that has continued till today. In the second part of this series, I would attempt to show how the Yorubas descended into their dark age era, were saved from themselves by the British who in turn undermined them. I would also show how the regional system post-independence sparked a short Yoruba renaissance by bringing together the same elements that enabled the ancient pax-Yoruba era. This short post-independence period accounts for another era of modern advantages that the Yoruba have continued to enjoy for the last 40 years. In the third part of this series, I would show that the Yoruba have again descended into a modern period of decline and I would proffer solutions to stem this decline. I hope that this series would make the Yoruba ronu! (Yoruba think!). Interesting. You seem to hold the view that the Yorubas were one state. a nation. However, this view does not account for why throughout the pre-British history, the Yorubas were in a constant state of war with each other and appear more like greek city states vs this unified theory. Infact before the British conquest, there was no concept of ‘Yoruba’. The word itself is an imported word used by Hausa-Arabic scholars to describe the language according to Samuel Johnson. So how is that a people who were constantly at war with each other, who never referred to themselves as Yorubas at any time pre-British rule lay claim some sort of unity. I think this is more a myth like Ile-Ife. If Ile-Ife was the origin how come Oyo folks look down on it. Infact historically the so called origin did not feature prominently and was more a spiritual venue for the powerful Oyo Empire which appeared to be the ‘centre’ of it all. I have a different theory – There was never a Yoruba state. that is a clever myth invented when you want to supplant city states. More likely what you had was a dominant force which conquered towns and villages and simply imposed its language on them. This explains the preponderance of many dialects as different conquered nations adjusted to the tongue of the new rulers. In addition, it explains the reason for constant warfare as why would we pay tribute to our brothers if they were our brothers. Rather, it is more a conqueror-conquest relationship. I am from Ondo and we share more with Edo folks than Yorubas. Indeed the Edos have an alternate theory of Yoruba origin. However the emergence of a common powerful enemy in the British induced a wave of unity among tribes and former enemies. It was the cleverness of our pre-independence politicians to make us think we were separate nations. As events have since shown we were not. the less we try to feed life to these myths I think the better for us as a country. But you actually reference the period I am to cover in the 2nd part series- The rise of the Oyos and the decline of the Yoruba nation. 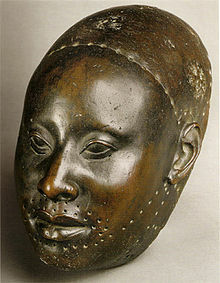 Prior to the rise of the Oyo, the Yorubas established Ile-Ife about 400BC and pacified the region. 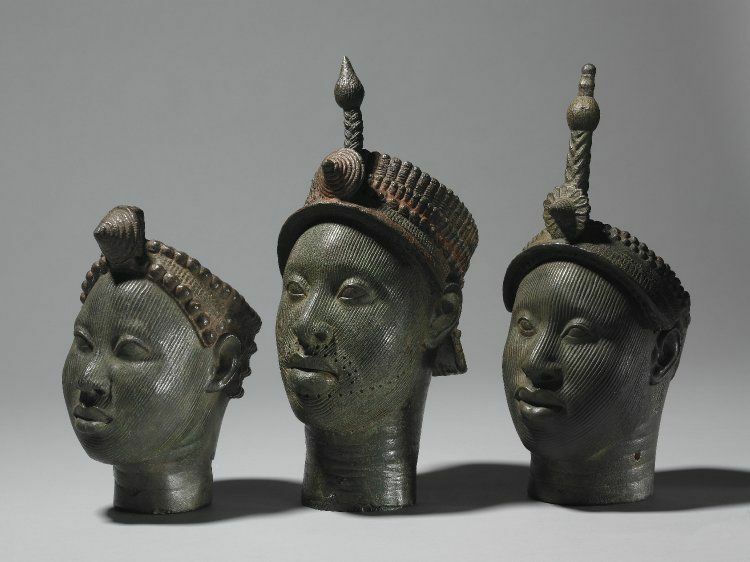 Until about 1000CE, Ile-Ife was the site of annual Bere traditions- were Capped chiefs of the Yoruba came periodically to renew kinship ties through Ife. In fact, Yoruba states did not fight one another until Oyo’s rise- this is the period of the Pax Yoruba I reference in the article which I am surprised you chose to ignore. After Oyo’s rise this Bere never happened again until the early 1500’s when Oba Aijboyede had pacified his newly conquered lands. It may interest you to know that the Oyos retained the Obas of Yoruba states they conquered as they regarded them as brothers. The hatreds you mention between the Yoruba groups are fairly recent in the 1k+ history of the Yorubas. In fact it may interest you to know that the Oyo attempted to conquer Benin in the late 1500’s and subsequently chose to use the Eastern Yoruba states as buffer ultimately losing influence to the Edo in the region as it faced troubles North (Fulani) and West (Dahomey/Asante). The Yorubas had always been a confederacy of brothers or city states as I said in the article. This is the basis of nationhood and identity when brothers do not fight one another. The rise of the Oyo and the kingdom they forged ended this and as the empire declined over a period of 400 years, Yoruba states had developed the hatreds we now inherit. And as to the British- this never forged unity between the Yoruba states. In fact it was the fractious nature of the Yoruba states that led to easy conquest by the British. It was only in the pre-independence period that the Yoruba again united to push their interests in the Nigerian polity. The dialect differences you talk about occur because of 1K+ years of dispersal and admixture of the Yoruba through the region. That they have remained dialects rather than emerged as new languages as with Igala is further proof of the strength of the exchange brought about by early years of peaceful confederacy. The original Yoruba is actually closest to dialects of the SE Yorubas in the Ikale-Itsekiri axis. Finally, our history is not a myth- as I doubt you would say so of English or western monarchies. We have a long, varied and rich history which we should not bury because the British said so or because we want to create an artificial Nigerian nation. All successful countries in the world are built on nation-states and the earlier we realized this and enable political autonomy for historic ethnic nations within modern colonial borders, the better for our development.